Greenpeace USA measures the impact of an unexpected marmots (and moments) on a campaign. Expect the unexpected may be the motto of the coal exports team at Greenpeace USA. Yet it’s hard to know what to do with an unplanned marmot. Despite that, the nimble campaign team turned the unexpected into an advantage. In early August, a marmot made a surprise visit to an unattended GoPro camera the team was using to shoot video on a peak in Montana’s Glacier National Park. A few marmot licks later the video was unceremoniously ended. 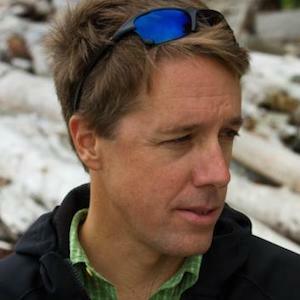 Greenpeace video producer Mitch Wenkus discovered the marmot visitor while reviewing video. Instead of just laughing it off and moving on the team took a chance, put in some extra time, and threw a simple, unbranded 48 second video of the of the encounter onto YouTube. Original expectations were low but the cute factor inspired them to give the video a shot. 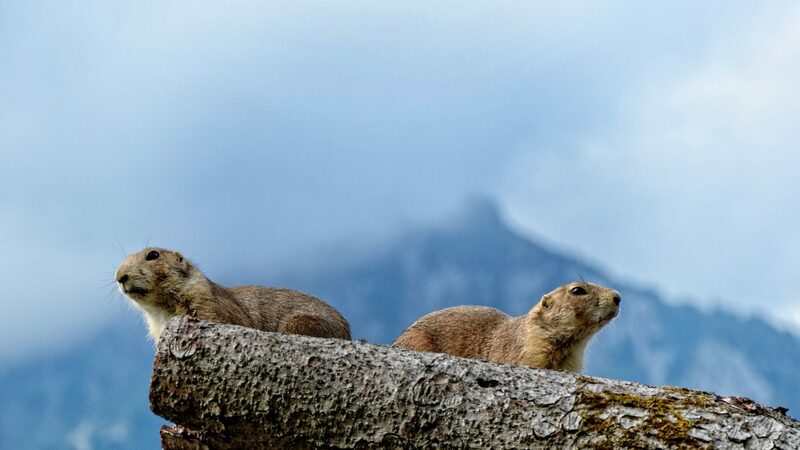 “When I reviewed the footage and saw the marmot licking the camera I fell on the floor laughing. I put a preview link online and showed the immediate Coal Exports team and suggested this could be a good way to get the #ParksNotCoal hashtag out,” Wenkus told us. Three weeks later, the unplanned video had been watched more than 2.1 million times, making it Greenpeace USA’s most viewed video ever. The video also secured nearly 2,000 petition signatures, over 60% from people new to the organization. It’s okay to go off-script. This video was by no means in the plan, but we made room for it, and it became a huge promotional opportunity for the campaign. Have internet gold? Try posting without branding. We kept the Greenpeace branding to a minimum to make it highly sharable, and it worked! The video was able to travel far while still carrying its campaign message to new audiences through the petition and caption. Make sure your messaging — and a clear CTA — is linked to the video. Media took our blog and caption word for word, often without reaching out to us at all. And don’t forget to include an action! By including one as an annotation, we got thousands of signers. Everyone loves animals. We all knew this already. But the video confirms that charismatic macrofauna seriously help convey a message! We uploaded the video directly to Facebook first. I think that got about 40K views. A few hours later, I put it on YouTube without really telling anyone (I posted it to Google+, but that’s only a guaranteed 15 views). A day later the YouTube video had about 100 views. I thought that was it and forgot about it for a couple days. Then I get a text from Dawn saying the YouTube video is at 50,000 views. To my knowledge, we had not pushed the YouTube video at this point, only the video directly uploaded to Facebook. The few people that found the YouTube video felt the urge to share the video. After the video was at something like a million views, Joe reached out to media who hadn’t already shown it. That’s how we got Ellen DeGeneres to tweet it out. The team remains unsure how the unpromoted YouTube video received 50,000 views after a few days. It’s possible that a deeper analysis of social media share data could reveal shares by influential people. 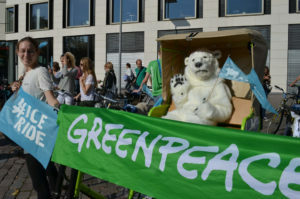 Greenpeace offices around the globe began to share the video as did several media outlets. In most cases, online coverage included some details of the #ParksNotCoal campaign. Major media coverage began in Huffington Post on August 15th and peaked with an August 18 IFLS story. The team used Radian6 to analyse the timing of over 18,000 online social mentions. A look at online mentions of the marmot video between August 8-28 using Radian 6. The video was shared on Greenpeace’s branded Facebook and YouTube channels with captions and descriptions that included links to #ParksNotCoal campaign action landing pages. Keeping Greenpeace branding off the video seemed to fit the lighthearted nature of the marmot video and made sharing the story easier for both social media users and news outlets. Staff outreach after the early online spikes helped get some celebrity attention. The post was tweetedand shared by Ellen DeGeneres to her 31 million followers, contributing to the small spike on August 18th in the Radian6 graph.